See why the Mechanix Tactical M Pact received our Editor’s Choice and find out where the other top dual sport gloves match up. 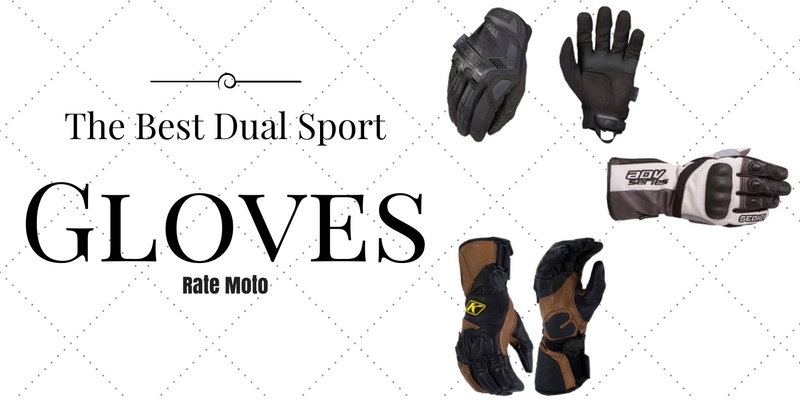 Choosing the best dual sport gloves is essential in assuring each and every ride is as enjoyable as possible. Gloves are one of the little things that’s typically an afterthought when grabbing gear to go dual sport riding. For something that is used typically 100% of the time when you are riding it is important to make a solid purchase. Durability: I typically hold dual sporting gloves to a higher standard than normal riding gloves. My normal riding gloves are typically very lightweight and have tons of air flow. The trade off on that is they typically last maybe three quarters of a season. I’m ok with this because I know what my top needs are when riding. Staying cool. When dual sporting though, I know that there is a chance that I may go down on asphalt. Even with the slightest possibility of that happening I have to be somewhat prepared for that. That means when shopping for the best dual sport gloves I have to give up some of that airflow for additional protection. Functionality: So obviously we need our gloves to function properly. What I really mean is choosing the correct dual sport glove for the job. Your typical dual sporting environment can drastically change the type of dual sport glove you need. Does it rain a lot? Is it 90+ degrees? Are you on the street more than 50% of the time? All of these things can change the effective functionality of your dual sport glove. Lots of people will want a glove that is waterproof but they don’t realize is their hands will be so hot in anything above 80 degrees they end up riding gloveless anyways. Buy the glove intended for your riding demographics! Value: In a perfect world we would all just go out and buy everything Klim. There is no doubt that just about every piece of gear they make is top of its class and probably the best you can buy, period. It also means it’s extremely expensive. If I were to kit out completely in Klim gear it would probably cost more than what I paid for my bike. A piece of Klim gear did make our best dual sport gloves list but the majority of the gloves considered give much more value for the dollar. The Mechanix Wear Tactical M Pact gloves received our top remarks for value, durability and functionality. Since dual sport gear (by definition almost) is a compromise in use, we found the Mechanix M Pact gave excellent dirt protection with adequate street protection. With these gloves you get the standard fair of knuckle and finger hard protection. Palm protection is not ideal if looking for maximum street protection at highway speeds but the glove should prove decent in a low speed get off. The top portion of the glove is mesh and is extremely breathable. This also means that they are not waterproof but they do dry out quickly. When weighing most dual sporter’s needs, it was hard to ignore the extraordinary value the Mechanix M Pact gloves give. Which is why we believe it is one of the best dual sport gloves out there. For hot weather riding, the Fox Dirtpaw Race Gloves may be the answer. There’s no getting around it. 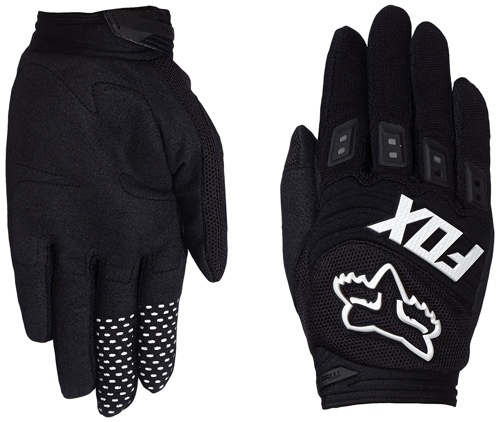 The Fox Dirtpaw is a lightweight glove that really shines when the weather gets to 100 plus. Its lightweight construction makes the break in period pretty much non existent and is one of the most comfortable gloves I’ve ever worn. This glove is pretty much a keep cool at all cost option. The dirt protection leaves a little to be desired while the street protection is non existent. So why is it on this list you ask? Being from Arizona, sometimes it’s so hot its hard to wear any gear. This glove makes it a no brainer to get at least a minimum amount of protection. 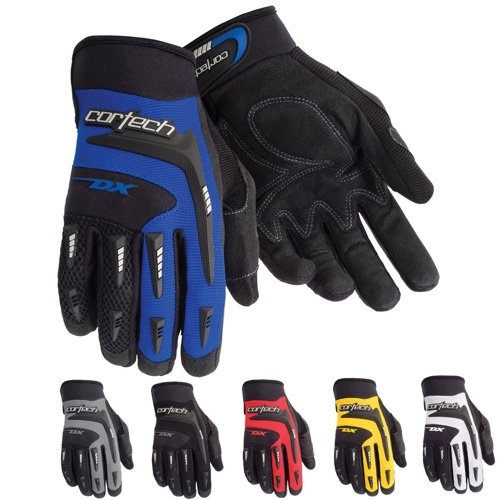 The Cortech DX Dual Sport Gloves are an extremely popular glove in the dual sport crowds due to their fitment, value per dollar, and protection. The first thing you’ll notice about the Cortex DX gloves is that the wrist area comes down a bit lower than the first two gloves listed. This can be a benefit if you are looking for more street protection in a glove. It will help out in dirt as well but wrist protection is typically not a problem with dirt riding. The Cortech is a thicker glove that should prove to be warm enough for mild temperatures but still not overheat a rider’s hands when the weather warms up. At this price point, you are going to be hard pressed to get a better glove than the Cortech. 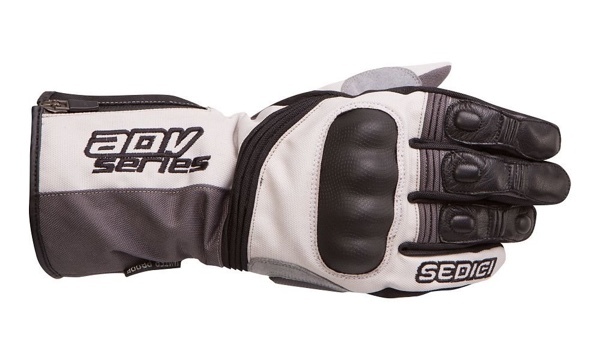 It is extremely well featured and priced very competitively which is why it’s one of our best dual sport gloves. 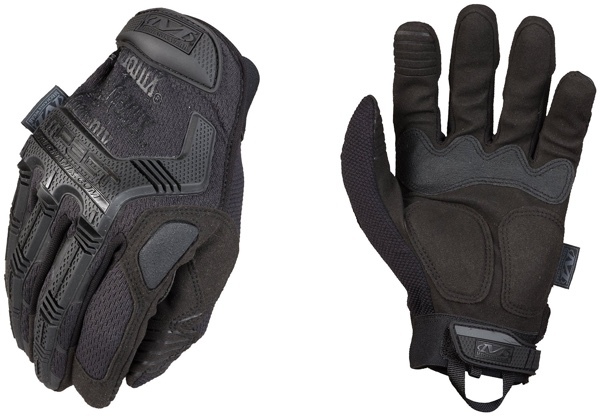 If you need the absolute best in protection, the Klim Adventure Motorcycle Gloves is it. If money is no object then the buck stops with Klim. Klim’s gear has been one of the top gear choices for years only recently getting some competition in the adventure and dual sport markets. These gloves are gauntlet style gloves which are usually popular with the street bike crowd as it gives the best in wrist and arm protection. 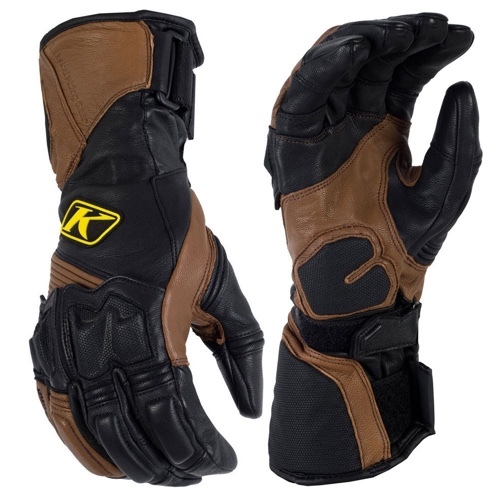 These Klim’s are one of the only leather gloves to make the list, are heavily water resistant and extremely comfortable. So why didn’t these awesome gloves win the Editor’s Choice Award? As with most of our reviews, the absolute best performing product doesn’t always win. It also has to be the best overall (value, durability, etc) to win. While most will try on these Klim Adventure gloves and immediately see them as being worth the asking price, others simply can’t justify the price. If you can pay to play, the Klim Adventure glove is easily one of the top performing dual sport and adventure gloves you can buy. If you need water protection above all else, the Sedici Viaggio Waterproof Adventure Gloves should be your goto. The Sedici Viaggio is the only truly waterproof glove to make our list. The common theme with cheaper waterproof gloves is they typically have little to no breathability thus making your hands sweat even if riding in freezing temperatures. Just like the Klim, the Viaggio has sufficient wrist protection so you can safely pound out the highway miles. This feature also doubles up as extra water and weather protection. The Viaggio is just breathable enough that if riding late season your hands should stay dry, both from weather and from sweat.